In their most recent gimmick, Heeb has outdone even their own high standard of Jewish tomfoolery. Really outdone it. The idiosyncratic Jewish quarterly has announced a fake Holocaust memoir writing contest. Entirely out of jest, the publicity stunt comes from the exposure of fake Holocaust memoirs by Herman Rosenblat and Misha Defonseca. 7. We reserve the right to mock any and all entries. 8. We reserve the right to publish and mock the winning entry. 9. “Memoirs” shall be defined as a form of writing, not a collage, short film or interpretive dance piece. 11. No parking baby. No parking on the dance floor. 15. We are not liable for anything, anytime, anywhere, no givesies backsies, infinity. The Holocaust, it’s true, is easy joke fodder. Almost every stand-up comedian, Jewish or gentile, has at least one Hitler or Nazi joke. And okay, irreverence is Heeb‘s M.O. But it’s an entirely different thing to use farcical memoirs to openly mock what really did happen in the Holocaust. It’s hard to imagine a survivor—perhaps an author of legitimate Holocaust memoirs—reading about the contest and finding it as hilarious as Heeb thinks it is. For that reason, it’s hard not be offended by their charade. It’s insensitive to say the least, and, were one to consider the struggles of survivors themselves, downright cruel. They play Greece again (this time at their place) on Wednesday. With nine points, Israel currently sit in third place in group 2. They needed that win! There’s nothing illegal about the charitable contributions to pro-settlement organizations, which are documented in filings with the Internal Revenue Service. They’re similar to tax-exempt donations made to thousands of foreign organizations around the world through groups that are often described as “American friends of … ” the recipient. But critics of Israeli settlements question why American taxpayers are supporting indirectly, through the exempt contributions, a process that the government condemns. A search of IRS records identified 28 US charitable groups that made a total of $33.4 million in tax-exempt contributions to settlements and related organizations between 2004 and 2007. Ignatius lists organizations like American Friends of the College of Judea and Samaria, American Friends of Yeshiva High School of Kiryat Arba, and Hebron Fund. The glaring hole in the logic is that giving a charity a tax exemption, of course, doesn’t actually fund anything. It’s less an economic offense than a moral and pragmatic one: Considering the delicate arguments for peace in the Middle East and the controversy that settlements inevitably stir up, do these charities still deserve the tax-exemption if they help stymie US efforts towards peace? And in other news about the peace process, new Israeli Prime Minister Benyamin Netanyahu spoke yesterday to allay some fears of his hawkish tendencies. For the record, his pick for foreign minister is the famous nationalist and right-wing Avigdor Lieberman, who lives in Nokdim–a West Bank settlement. While most people are waiting to see what will happen on their favorite television shows at the end of this season, the producers of “The Simpsons” already have a show planned for next season. It will take Homer Simpson to the Holy Land, where the Simpsons have never been before, according to Al Jean, the show’s executive producer. “I think we’re going to do one next year where they go to the Holy Land as we haven’t been there yet. The premise will be that the Christians, the Jews and Muslims are united in that they all get mad at Homer. It’s the only thing they can agree on,” [Jean] said. The details for the show aren’t fully worked out, but we’re already a little excited. The release last week of Laish, Aharon Appelfeld’s latest book to be translated into English, provided an excellent excuse to celebrate the Israeli author’s long and prolific career. Originally published in Hebrew in 1994, the novel follows a band of mainly elderly, eastern European Jews, flawed but faithful, on their seemingly hopeless pilgrimage to Jerusalem. Narrated through the eyes of Laish, a teenager, it is a believable story, sad and even romantic, that is entirely symbolic. 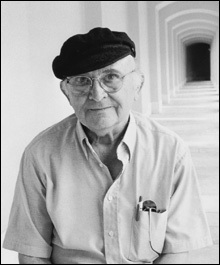 If it is not Appelfeld’s best work, it is nonetheless an important contribution, and as Naomi Sokoloff wrote in the Forward, it goes a long way towards illuminating his life and trajectory as an author. In August of 2005 the United States made an unlikely indictment: following an FBI raid on AIPAC’s offices, it accused Steve Rosen, one of the pro-Israel group’s most senior and influential lobbyists, of passing classified information leaked to him by a Pentagon analyst to the Israeli government. The pro-Israel community rushed to his defense, but newspapers worldwide pounced on the case, using it as a springboard to attack AIPAC. The indictment itself was sufficient to disgrace Rosen, who soon lost his job, and whatever the trial’s outcome, it seemed unlikely that he would ever regain his influence or stature. Now, with his long-awaited trial less than two months away (it’s scheduled for April 29), Rosen has re-emerged, according to several reports, as the man responsible for the downfall of Charles (Chas) W. Freeman, Jr, who recently accepted an appointment as Chairman of the National Intelligence Council. After a lengthy absence from the small world of Middle East policy, last November, Rosen began blogging about the Obama administration for the Middle East Forum, a think tank run by the neo-conservative Daniel Pipes.